Octavi Quintana-Trias trained as a medical doctor in the University of Barcelona. He joined the Directorate-General for Research and Innovation of the European Commission in 2002, serving first as the Director of Health Research for five years and subsequently as the Director of Energy (EURATOM) in the same Directorate-General. He is currently Director of the European Research Area. 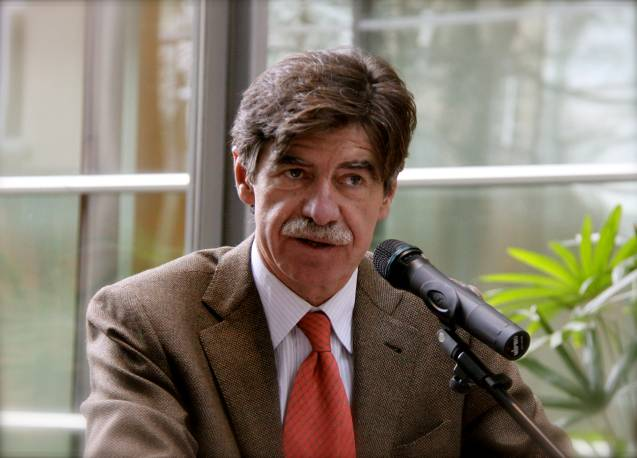 Prior to this, Octavi Quintana-Trias served for two years as Director of International Affairs in the Spanish Ministry for Health and Consumer Affairs and from 1990 – 2000 as Deputy Director General of INSALUD, the organisation which is responsible for the management of the health care system in Spain. He has also served as an advisor to the Pan American Health Organisation, working on health care systems in various Latin American countries (1994 – 2011), he was Vice-Chair of the European Group of Ethics (1994-2001) and Chair of the Steering Committee on Bioethics of the Council of Europe (1992–1995). Between 1996 and 1998, he was President of the Spanish Society of Quality Assurance on Health Care and Founder of the European Society of Quality Assurance on Health (ESQH). He has also worked as a professor in several universities in Spain, Europe and the US on bioethics and quality assurance and authored a number of papers in Spanish and international journals.